Local SEO (Search Engine Optimization) comes down to keyword strategy, localized content, claiming your Google My Business and Bing Business listings, reviews, citations in online directories, and backlinks. 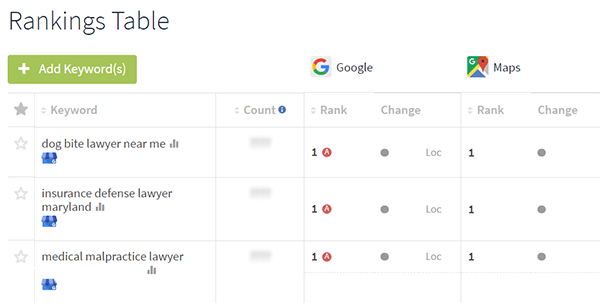 Track your organic, mobile, and maps rankings on Google, Google Maps, Yahoo, Yahoo Local, Bing and Bing Local. 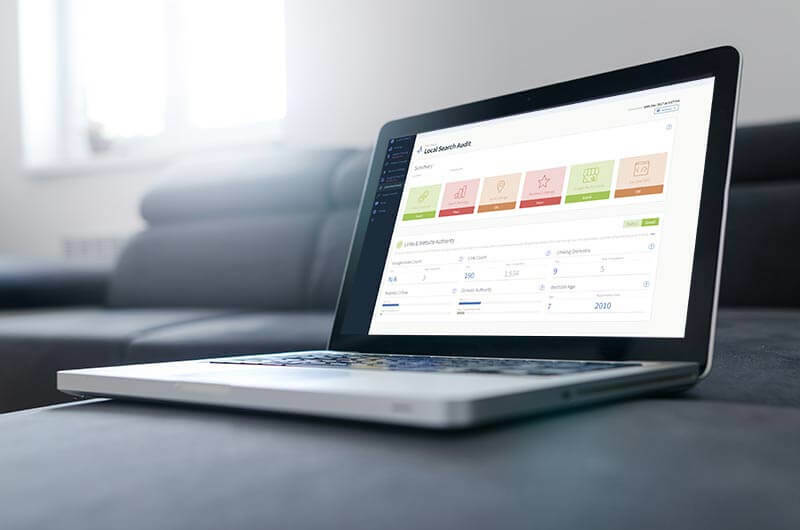 View your search rankings across thousands of locations in one report and benchmark your search rankings progress against your main competitors. A local citation is any online mention of the name, address, and phone number for a local business. …Citations help people discover local businesses online and can also impact local search engine rankings. Local businesses can actively manage many citations to ensure data accuracy. We hunt through thousands of citation sites to report which business listing you already have. 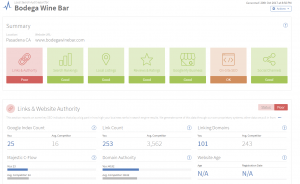 We also focus on the top 50 citations so you can see which high-value sites you’re missing. The Google My Business audit tool reports on the most important local ranking signals within Google My Business, including categories, citations, links, domain authority, review count, star rating, local phone & address usage, and whether a profile is verified. View key local search ranking signals in one report and prioritize tasks that will boost your search engine ranking. Quickly benchmark your business against the top 10 ranked businesses in your city and category to see where you’re losing out against them so you can focus on these areas first. You can also see where your competitors have citations and plug the gaps in your citation coverage. You can monitor reviews and ratings on 18 popular review sites such as Yelp, Google Local, Foursquare, YP.com, CitySearch, and Superpages. 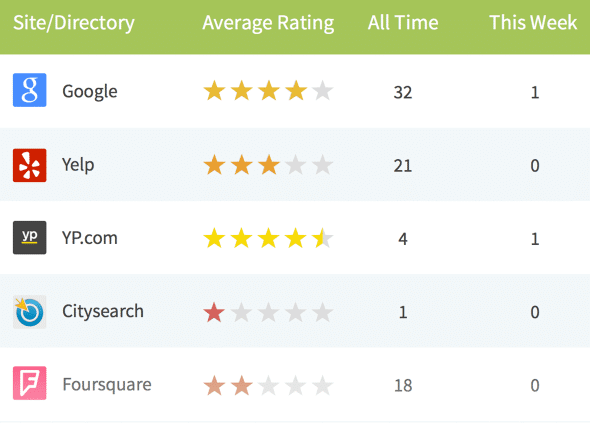 You can also see how you stack up against your direct local competitors. Create, customize, and add a review badge to your website. 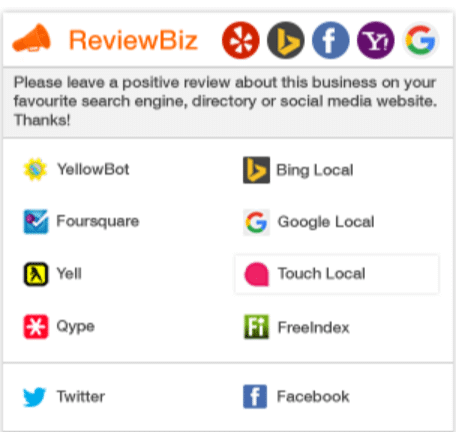 The reviewbadge sits on your website and links directly to your profiles on the most important review sites so it’s easy for your customers to leave you a review.